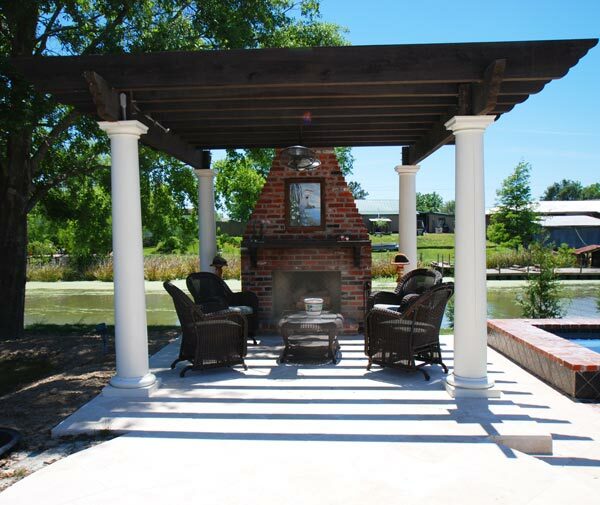 Crafting elegant outdoor spaces is our passion. In New Orleans we are blessed with great weather all year long. We love getting outside, and we know that having a custom outdoor kitchen and living space that suits your needs makes life more enjoyable. 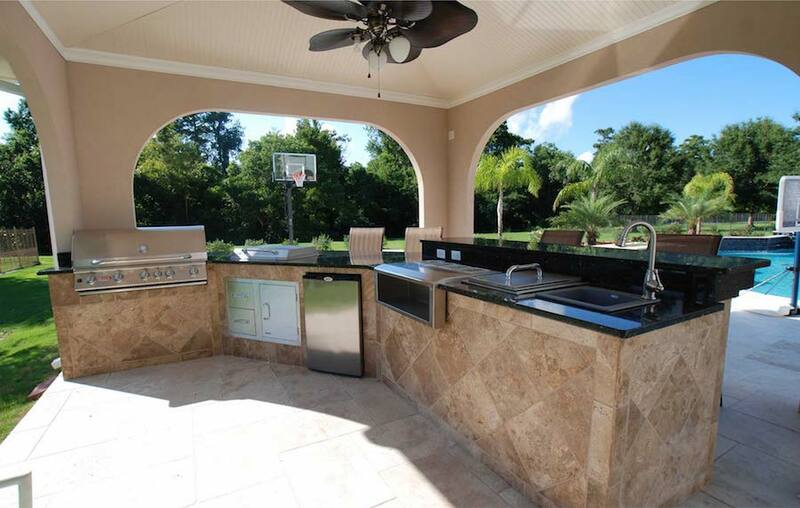 We work with you to create a complete outdoor kitchen that works with your lifestyle and home. From design to installation we’re with you every step of the way to make sure you get the exceptional outdoor kitchen you’re looking for. We know how to create an outdoor space that will last. We use the finest appliances and and fixtures from Fire Magic, DCS, Bull and Lynx. We also offer first-rate furniture to make your backyard space beautiful and functional. If you need help deciding on what will fit and where, we offer free outdoor space planning from our experienced staff designers. What can you include in my backyard living space? 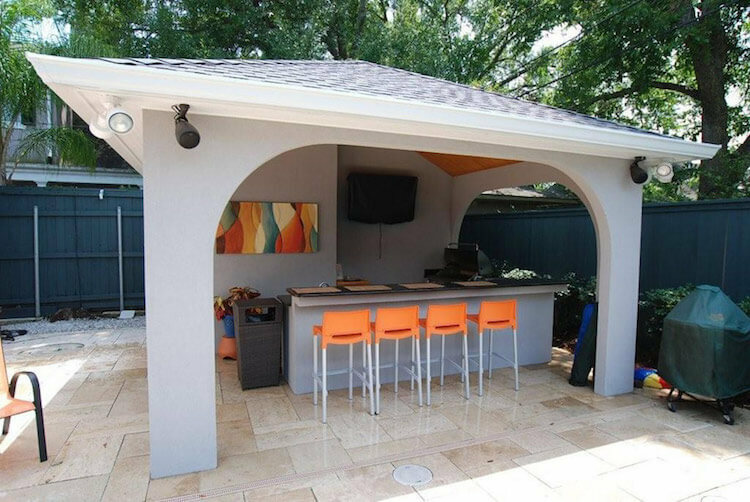 We can create for you custom outdoor kitchens, and fire pits, along with pools and spas. 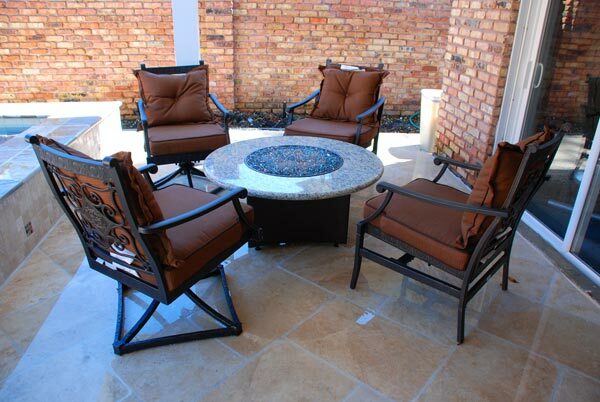 We also sell stylish outdoor furniture to go along with your new outdoor space. Do I need to be a custom pool client to get a custom backyard space? 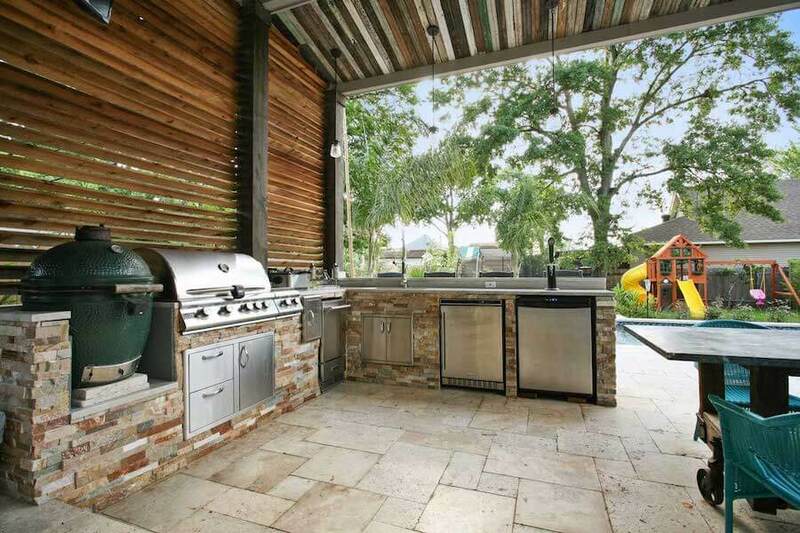 Is an outdoor kitchen or fire pit safe? Yes! 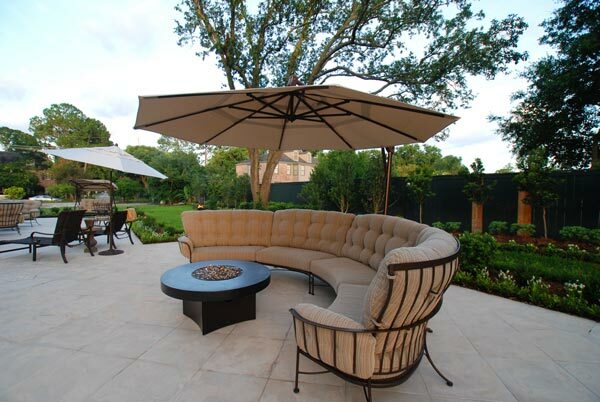 All of our outdoor spaces are created individually to be the right fit for your space aesthetically and for safety. Our kitchens are made with metal studs, lowering the chance of fire. All our fire pits come with an insulated jacket to keep the fire contained and your family safe while enjoying your space. We always start with a one on one consultation to see your backyard space and understand your wants and needs. Then we take measurements of your space to ensure the perfect fit. After measurements we create a 3D rendering of the proposed backyard for you to approve. When we’ve mapped out the perfect space for you, then we can work on getting the correct permits to complete the work. Before construction starts we layout the space to visualize how the completed work will look. When the project is layed out then we can complete construction. We won’t be in your hair for long! From design to construction, we allow a 3 week total turnaround for completing outdoor spaces without a pool or spa.